Containing rigorous hard evidence, this book is of immense practical use to postgraduates, researchers and business communities affected by or working in environmental regulation. The author, a leading name in the environmental economics community, examines the problem of urban smog in cityscapes and the difficulty of achieving cost-effective controls. Analyzing the key areas of urban smog, low-level ozone and volatile organic compound emissions and their impact on health and welfare of communities this text assesses and evaluates the performance of emissions trading systems and suggests alternative market designs for incentive control of pollution. 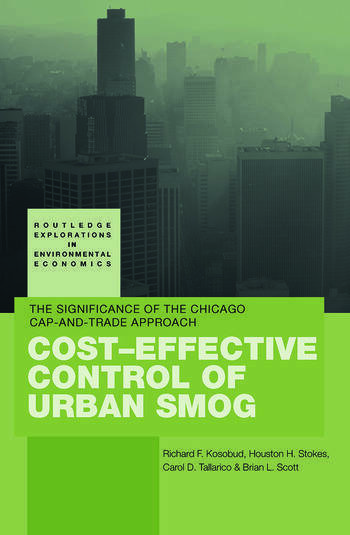 Taking a well-reasoned approach to the contentious area of the use of market incentives to achieve environmental goals, it provides a study of the pioneering cap-and-trade market, particularly focusing on its poor performance in Chicago. A perfect supplementary text postgraduates and researchers, this is also an essential read for all those interested in environmental economics.